As you are probably aware, Forge World has recently put several new releases up for pre-order. Well, today I got a box in the mail, and that means it is time for more unboxings! I am going to do things a little different this time due to the amount of pieces that have come in. 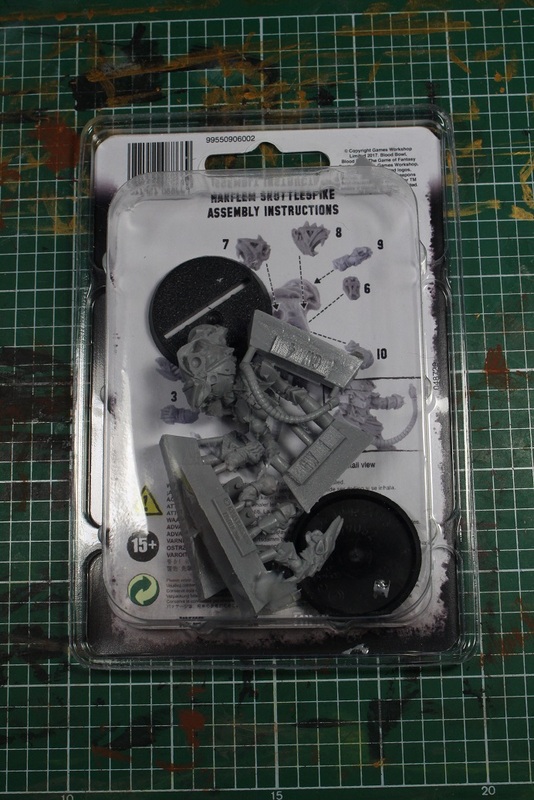 I will be posting a new unboxing every couple of days until I run out of new minis… and since I have another Forge World order arriving next week, that might take a while. 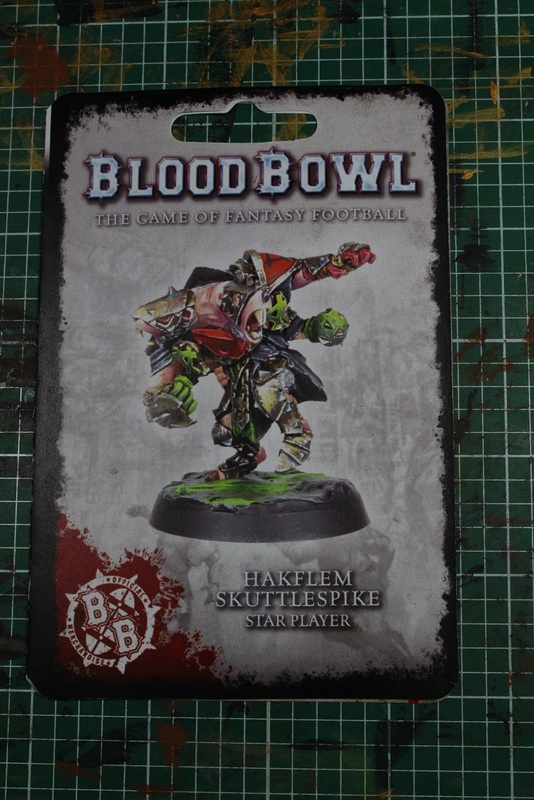 First up is the Skaven Star Player, Hakflem Skuttlespike. Now, I have to admit, I actually received this mini a a few weeks ago now, but I have had some personal things going on that sucked my motivation for posting to the blog right out the window. 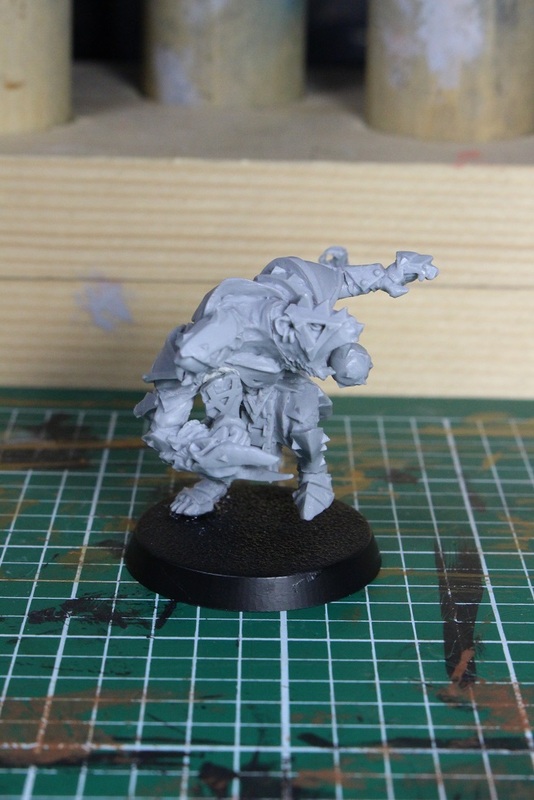 Now, since I have so many minis arriving, I really can not put off this post any longer. So here we go! Yet another mini standing on one foot… Ha! Front and back of the packaging. If you have read any of my previous posts, you should be used to this by now. Lets open the package up, shall we? 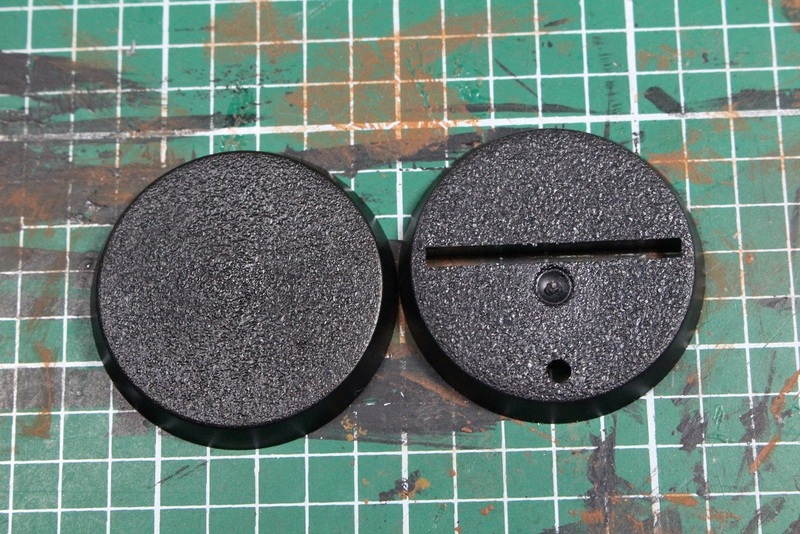 As usual with the Forge World minis, you get two flavors of 32mm bases. A closeup of the package artwork. As with the other Star Players, the inside of the included booklet contains information and fluff about Hakflem. 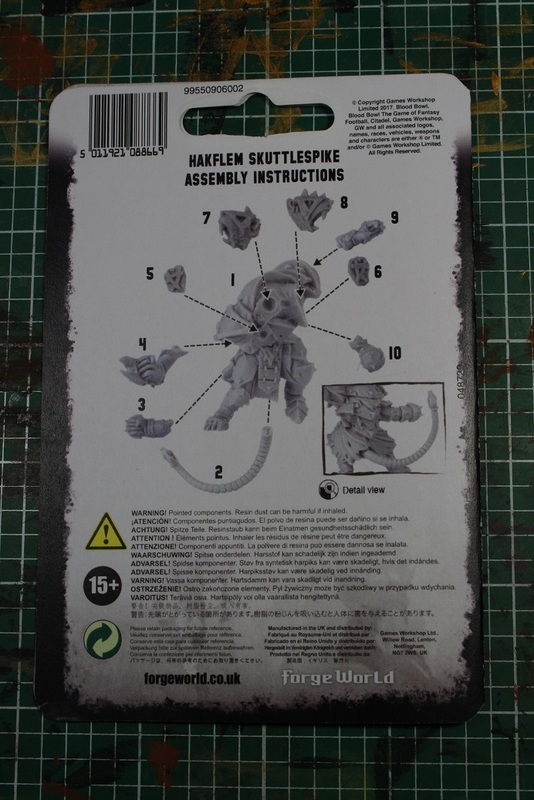 The back of the booklet displays the now familiar assembly instructions. 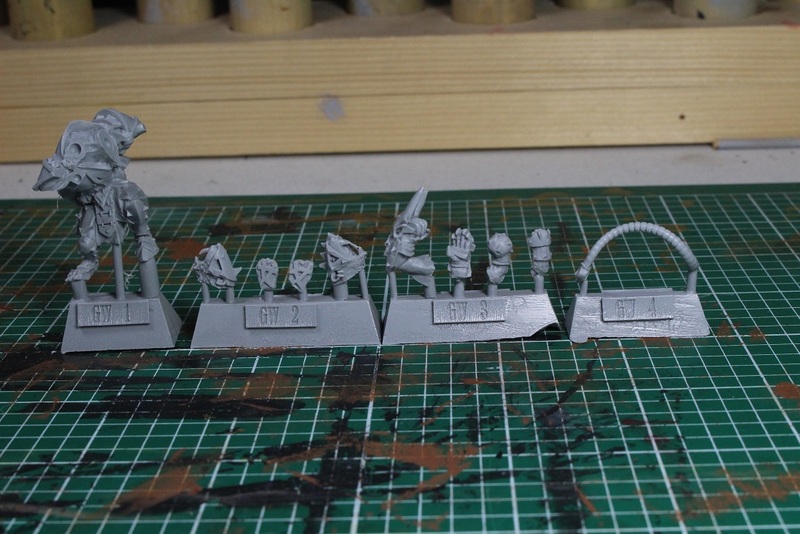 All the components of the mini lined up. 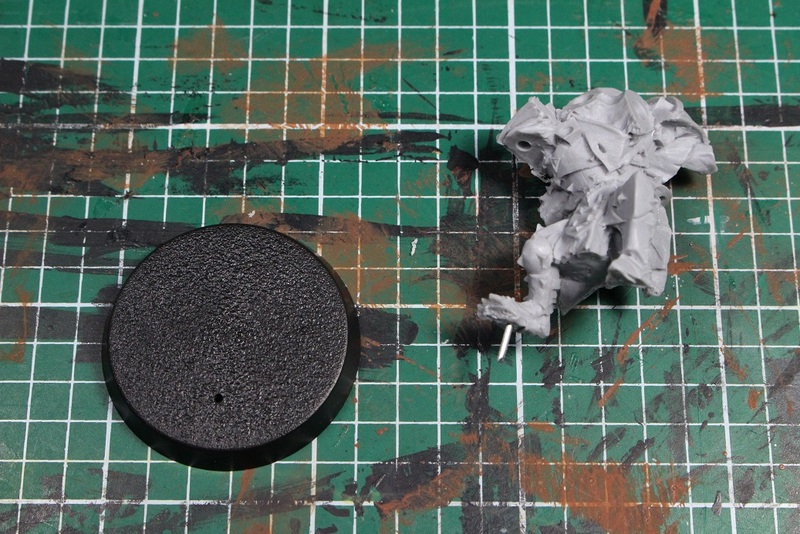 This is not the least amount of parts I have seen for a Forge World mini, but neither is it the most amount of parts. After these pieces get a nice bath, it will be time to begin assembly. We start with the, now dry, torso. It took a bit of cleaning up as there was a lot of visible resin flash. 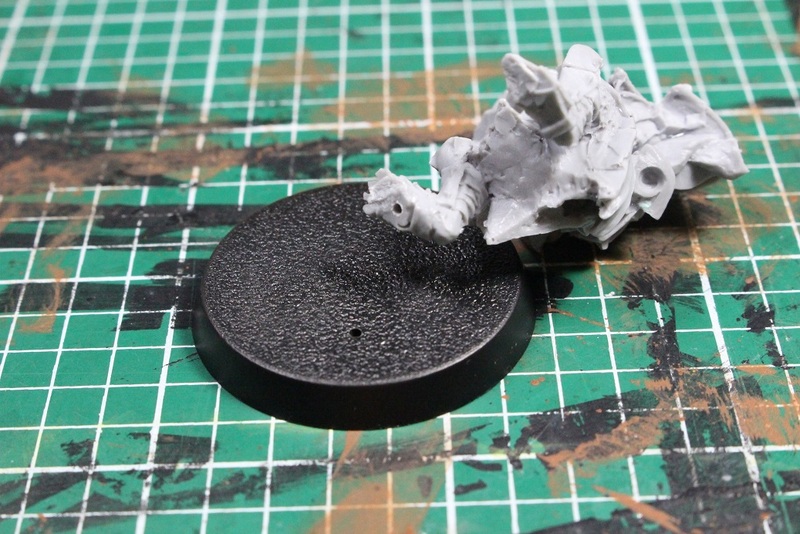 Due to this mini only standing on one foot *sigh* I decided to pin the foot to the base for a little extra stability. 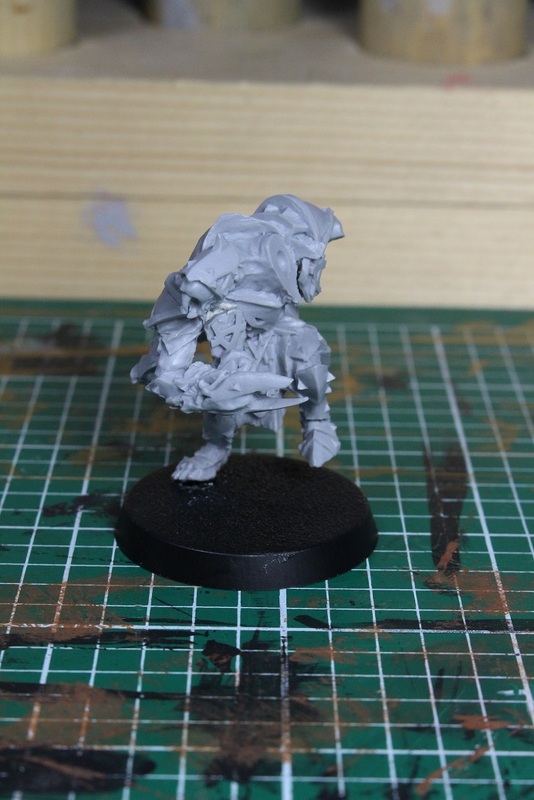 Not only is this mini standing on one foot, but it really only has about half of its foot touching the base, so the contact point is fairly small, and it needs a little extra strength. Holes drilled, and this time I actually managed to not drill through the top of the mini’s foot. Hooray for me! I am not sure what everyone else uses for pinning, but I use paperclips trimmed to length. They work great and one box of paper clips will probably last me for the rest of my life. 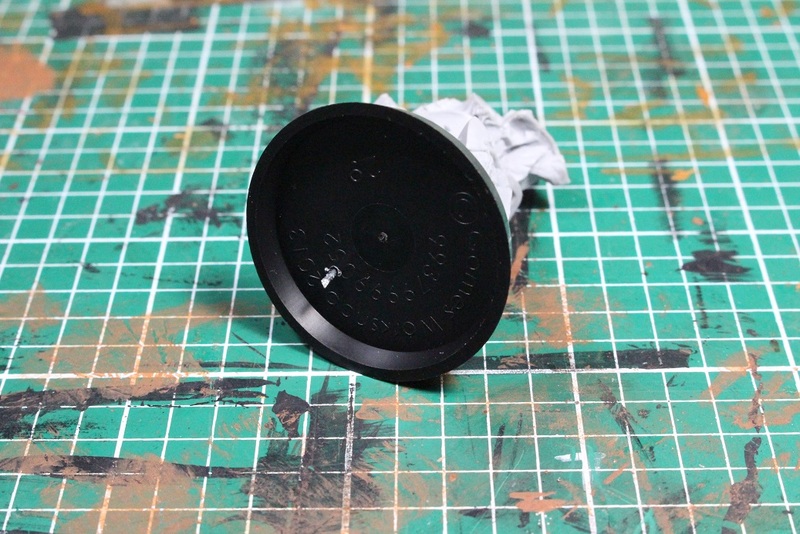 The pin inserted and glued to both surfaces. 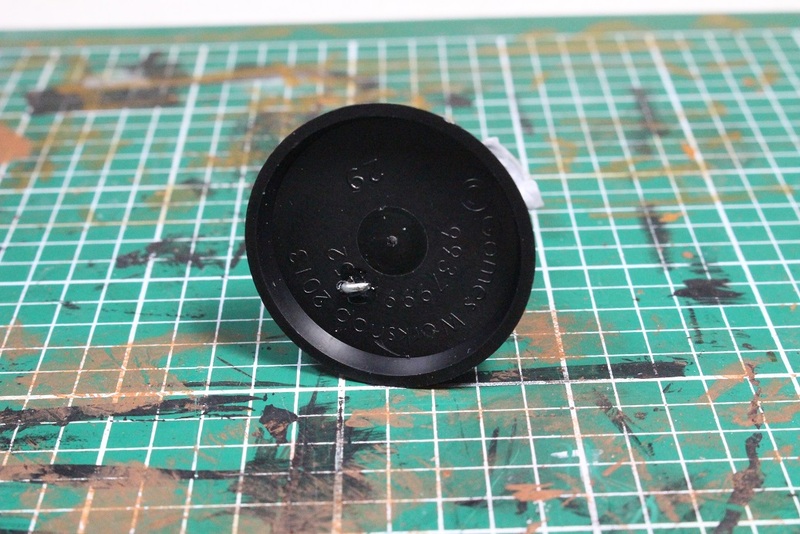 For a little added strength, I bent the exposed paperclip over and glued it to the underside of the base. To be honest, I have no idea if this actually adds more strength, but it makes me feel better. Torso attached and ready for additional assembly. 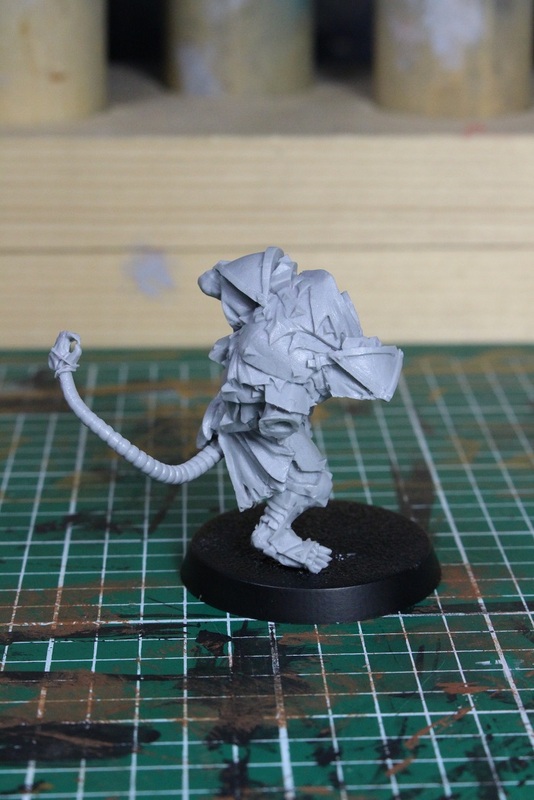 This tail, thankfully, is not NEARLY as long as the boxed set Skaven tails. 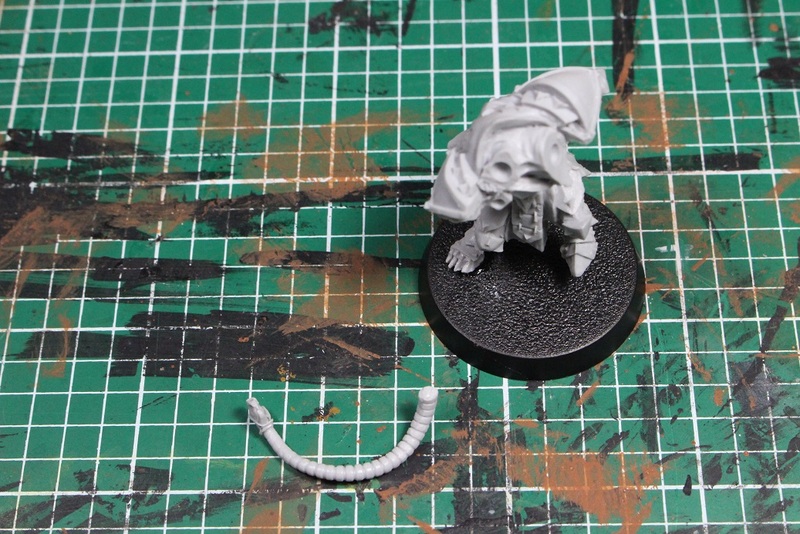 It still feels a little fragile, but I am not as worried about it as I was about the plastic Skaven. The tail attached to the mini fairly easily. Next up is the first of four arms. 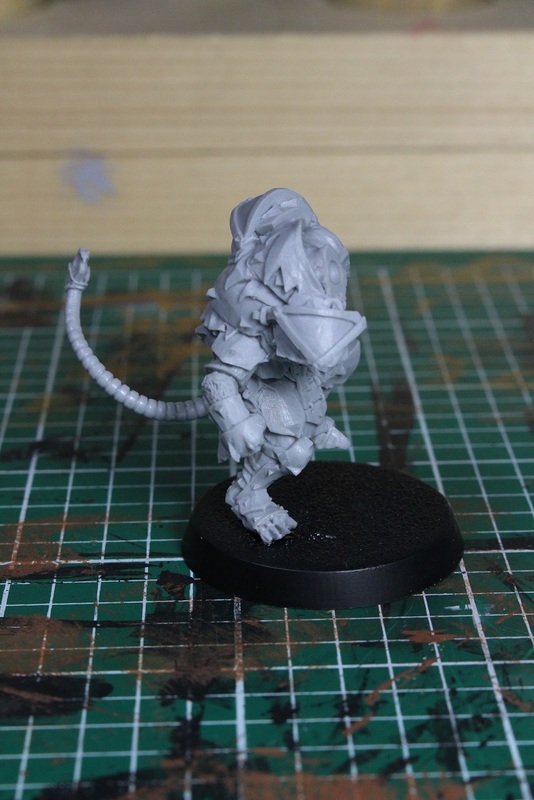 Luckily seams on this mini are generally pretty minimal, unlike the last Skaven mini from Forge World that I put together. Two arms down, two to go! 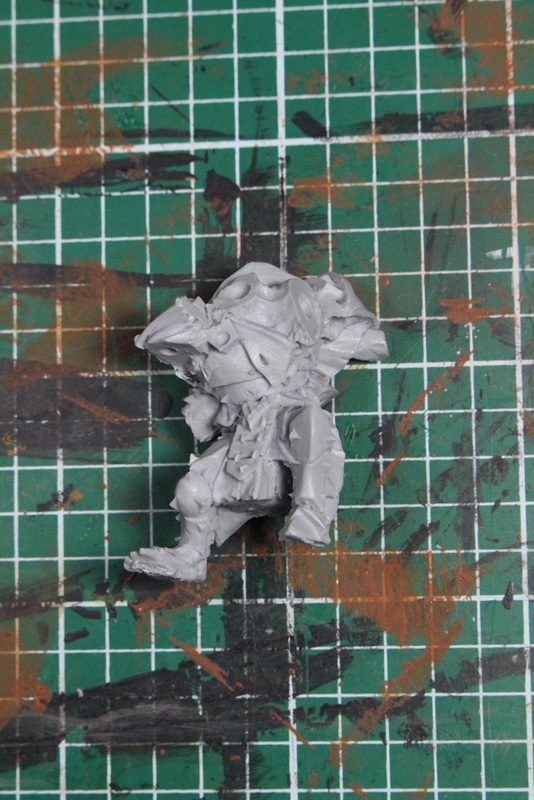 Like several of the previous minis that Forge World has released, Hakflem has a couple of tile pieces that kind of dangle from the mini. I have to say that I am not a fan of these pieces. 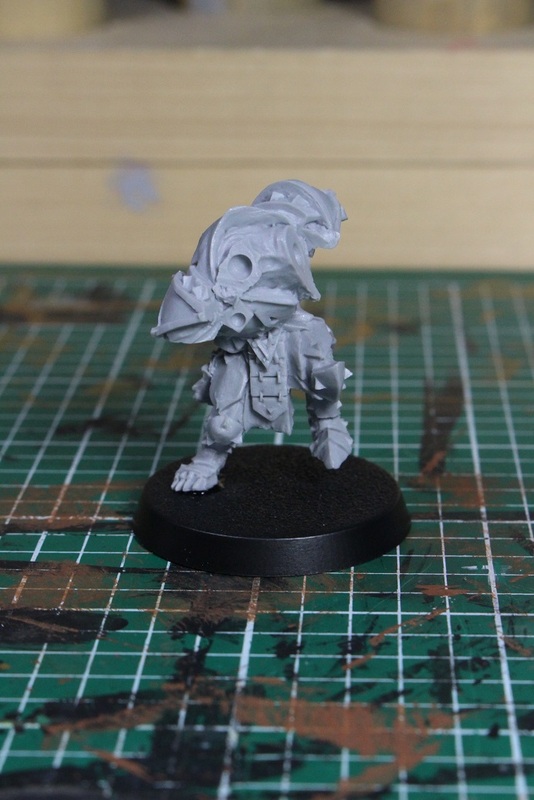 I really do not feel like they add anything to the minis, and more than anything, they are just kind of a pain to attach to the mini. I attached this one with poster tack as it is kind of awkwardly placed on the mini, and I think I will need to paint it first, and then attach it later. Here is the second of the dangling tiles. Again, it was kind of a pain to attach to the mini. The first of Hakflem’s two heads attached. At this point, I had to set the mini aside and walk away for a while. The mini had too many pieces crammed into a small space and every time I tried to attach a new piece, all I managed to do was knock off a piece I had previously attached. Knocking off these pieces contributed to a fairly irritating assembly. 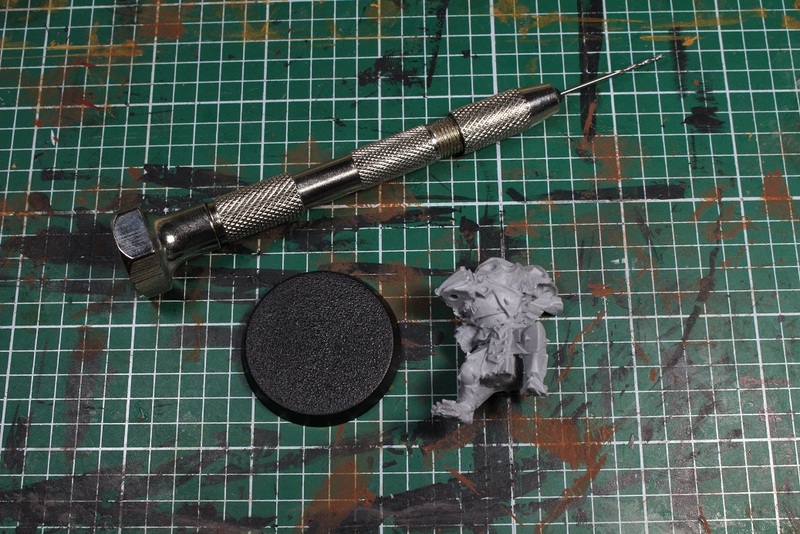 After half an hour of glue drying time, I was able to attach the second head without knocking any other pieces off. Arm number three… Only one arm left to go. And here is the finished product. 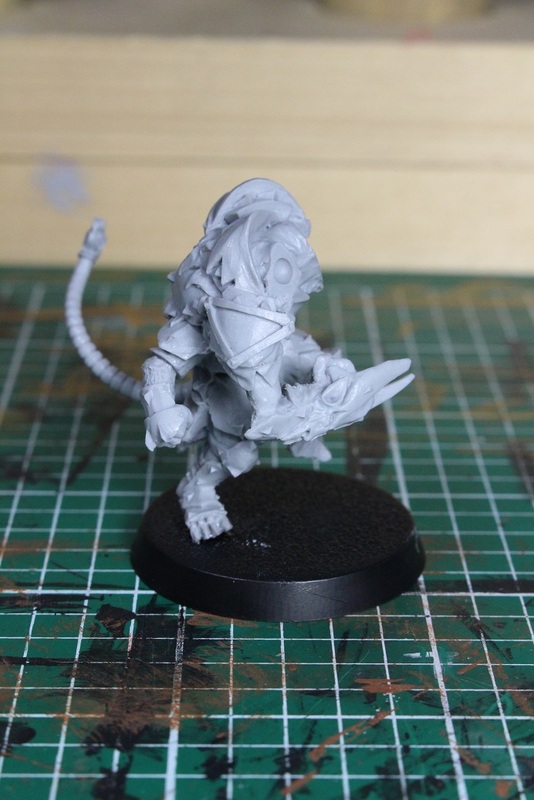 Upon final assembly, I noticed that Hakflem is in fact NOT hairless. He has a single patch of hair on the underside of the neck on the right in the picture above. I think the mini is decent overall, but assembly was definitely irritating at times. Aside from those frustrations, there were minimal seams, and only slight mold lines. Overall not a bad mini. 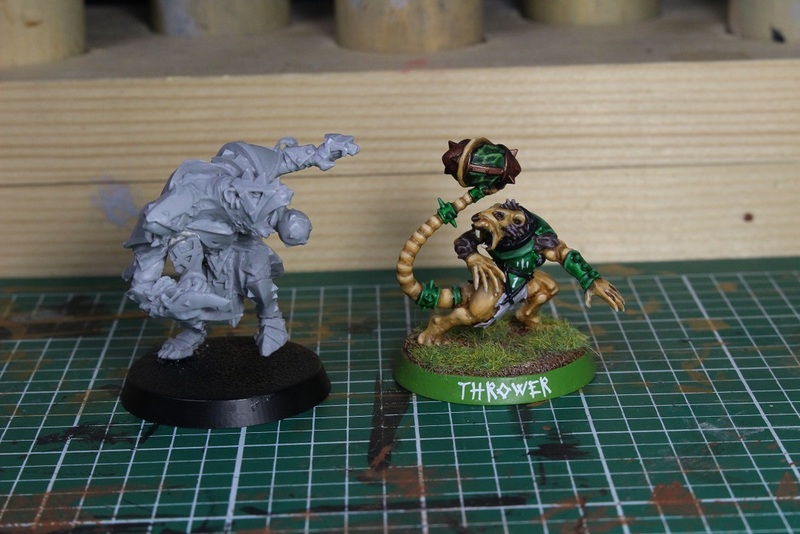 Here is a size comparison with a current Skaven Thrower. Notice that Hakflem is quite a bit bigger than the Thrower. The Thrower’s head is only about chest high on Hakflem. I have to admit that I was a little surprised by just how large he was when I set up to take this comparison shot. They sent a nice little 40K button. I assume it is to help promote the new 40K releases. 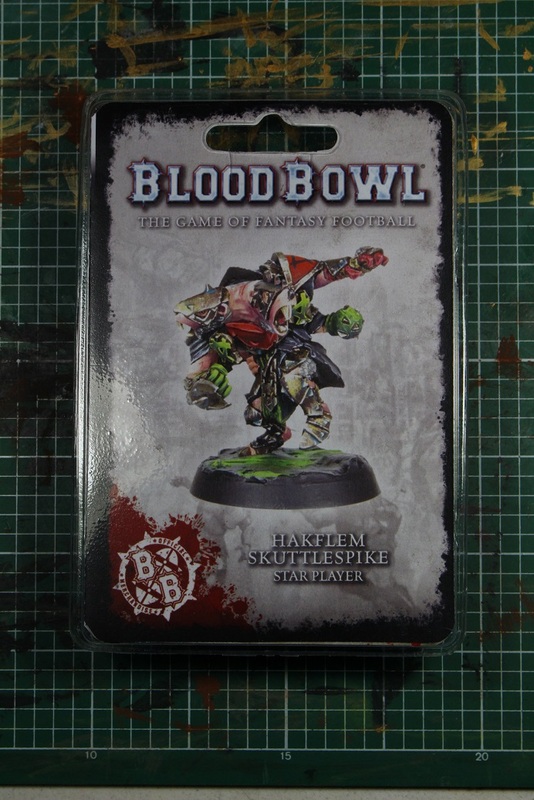 As I do not actually play 40K, it will probably go into my “for trade” bin… if anyone actually wants it. Anyway, that is all for tonight. 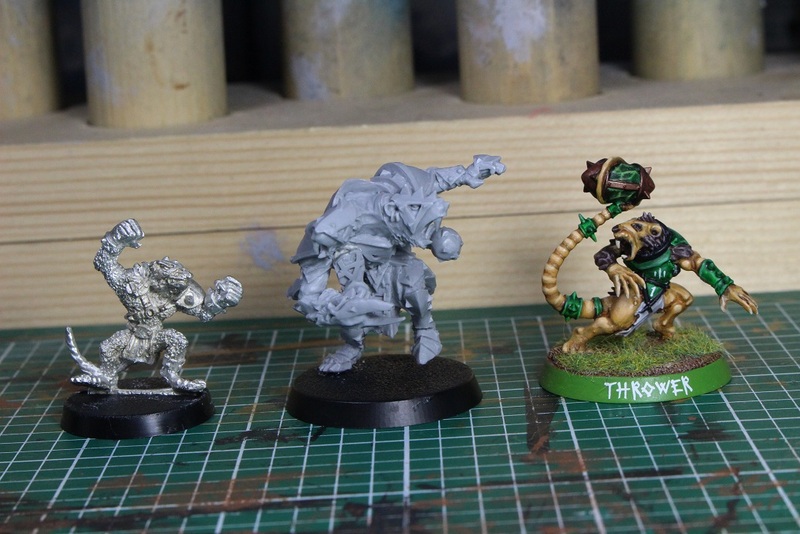 Next up will be the Skaven booster pack. Let me know what you think in the comments below! 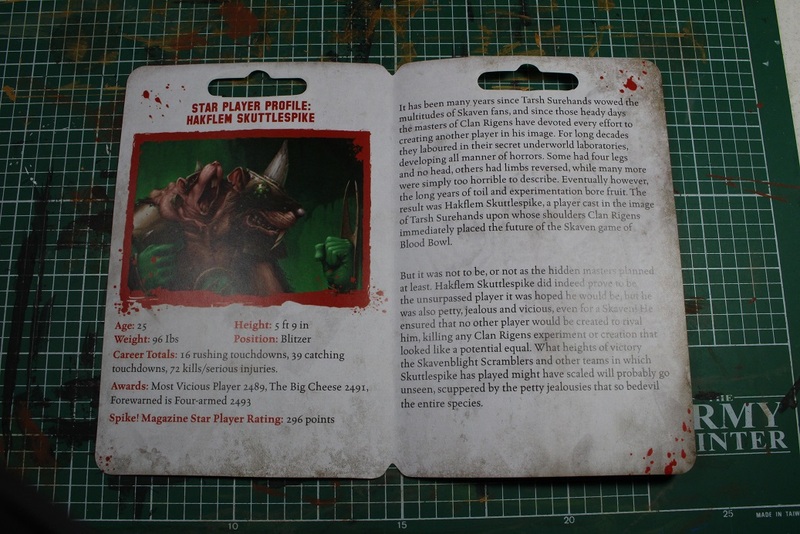 This entry was posted in Blood Bowl, Gaming and tagged Blood Bowl, Forge World, Forgeworld, Games Workshop, gaming, Hakflem Skuttlespike, Miniatures, Skaven, Star Player, Star Players, table-top games, tabletop wargames, wargames, Wargaming by Mike C. Bookmark the permalink. Crikey he is big. At least he’s not gappy as the web site pics seemed to show or our old friend the rat ogre. 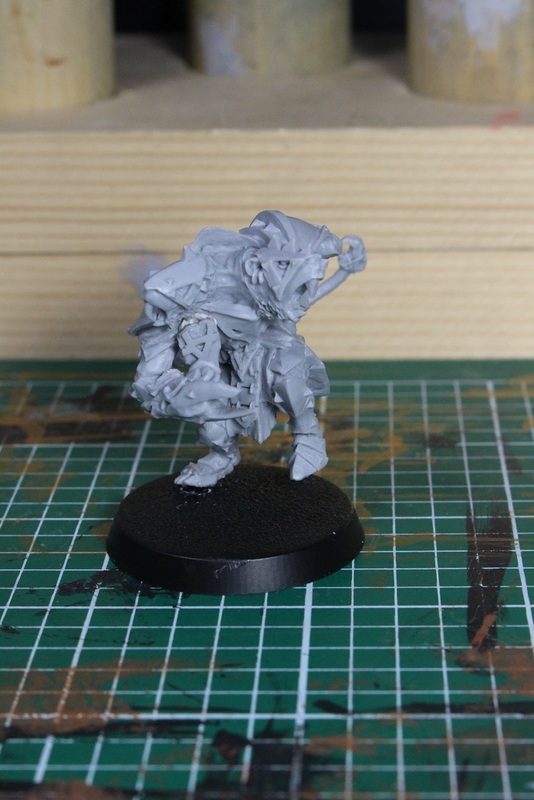 Looking forward to see the Skaven booster even though your getting players you can’t add to your roaster as team box gives 2 blitzers and throwers already. I’m saving mine for Underworld Denizens and Chaos Renegades teams. Also Star Player conversions. On my last conversion, I hacked up three Dwarves, just for 1 Star Player. You can never have enough extras. 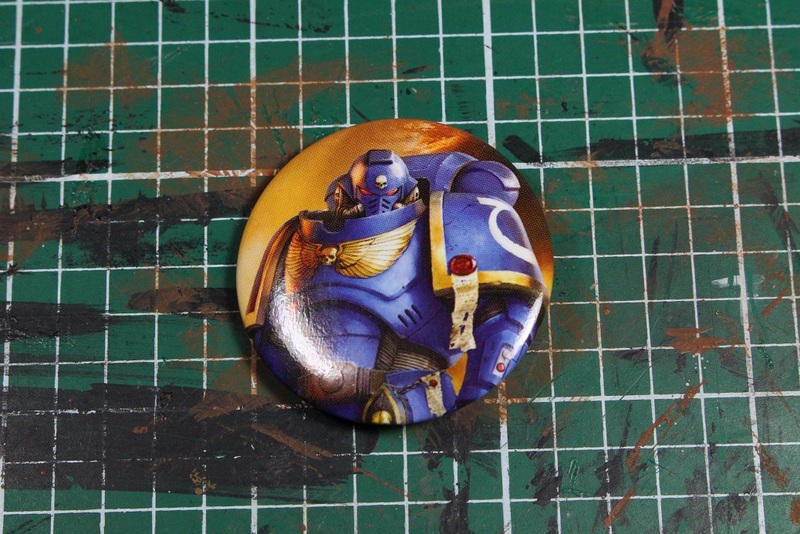 That is a sweet 40k pin. 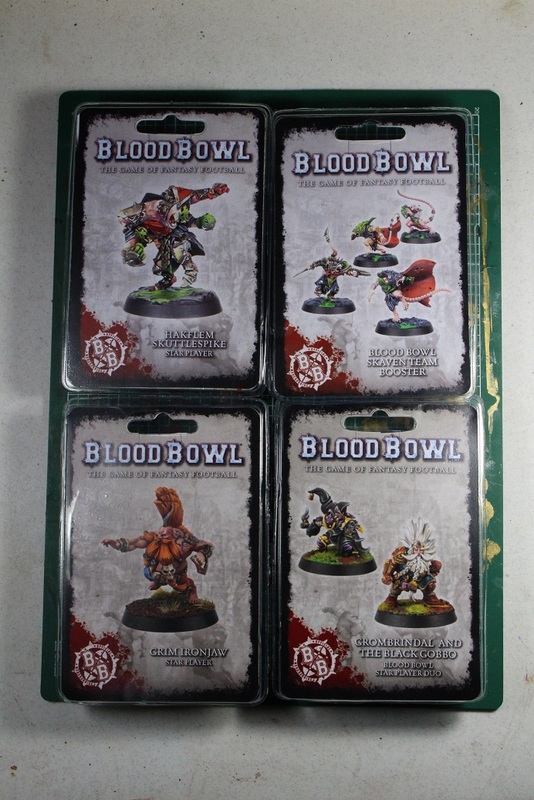 When I ordered the same box as you (it looks like we’re both nuts about Blood Bowl), I happened to get the Death Guard one. 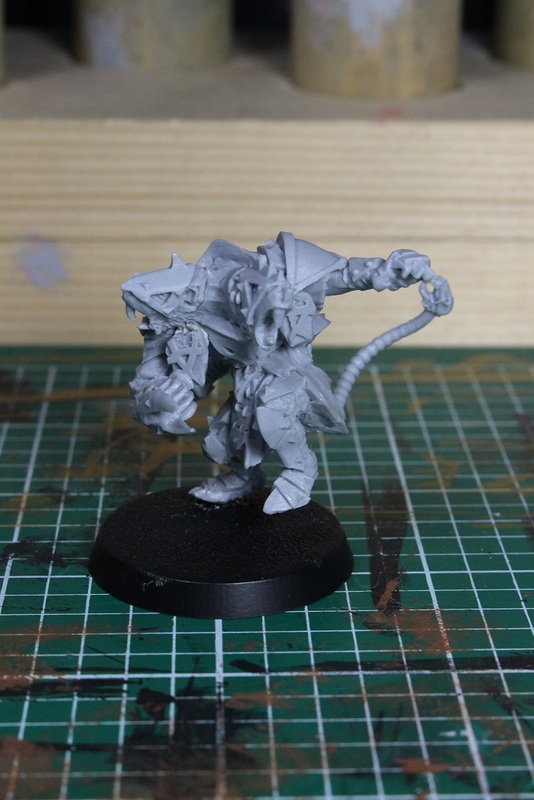 Looking forward to the skaven booster! Nice score on the ForgeWorld minis! I’ll be really interested to see how Grim looks. I’ve opted for a conversion/different manufacturer myself. 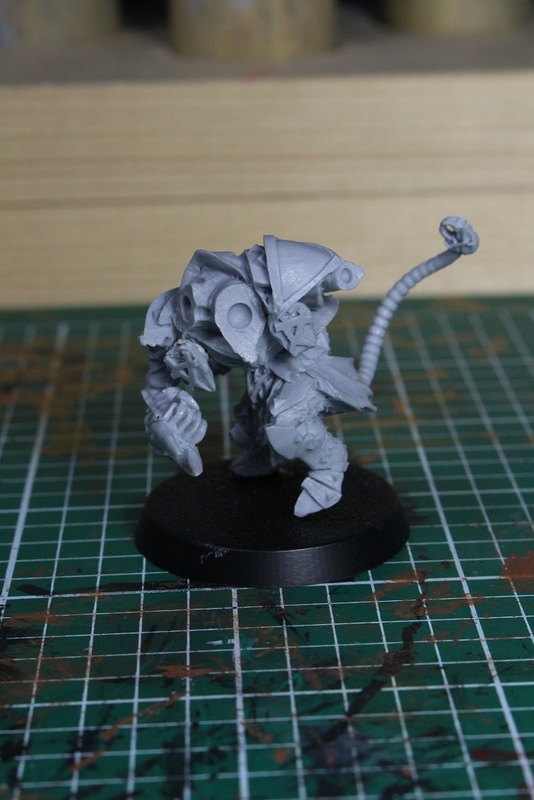 I did order the Skaven pack, and I can only hope they arrive soon. Hakflem looks to be a pain to setup. I also don’t like the size or the lack of hair. If I was decent with green stuff, I’d sculpt some additional fur. If they had shrunk him down a bit, I probably would have bought him, as he definitely looks good. He was a little bit of a pain to assemble, but I have had worse experiences. I was really frustrated last night, but I have had a little cool down time. The lack of hair is less than ideal, but I can live with it. It am pretty useless with green stuff, so I doubt I will attempt to sculpt any extra hair. His size though…. for a ST3 player, he is just WAY too big. I am a little disappointed in that, for sure. What was the most difficult new BB model for you to put together so far? I’m guessing the Rat Ogre? 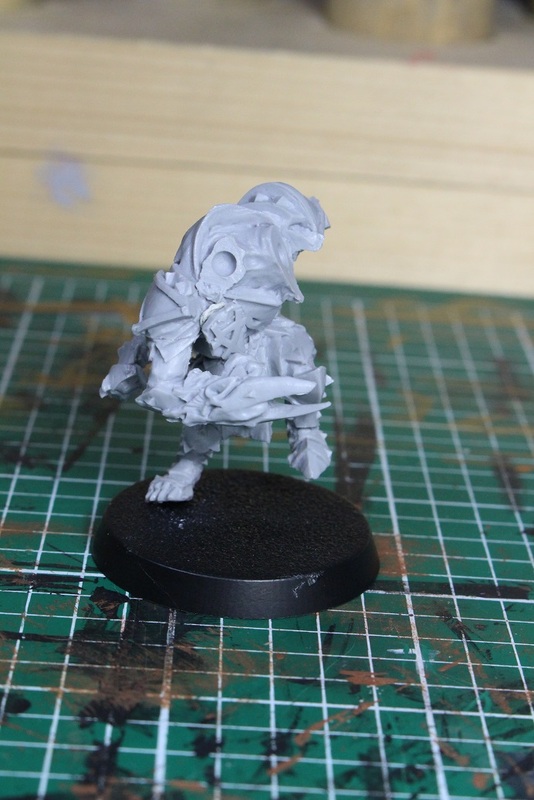 For me, it was the Troll, and the flash on Varag, though I still have a few models to put together. Probably the Rat Orge or Morg. They were both a pretty big pain.